I love seeing ways clients and friends use the images we create together. I recently received email news from, Erin Stutland, life & fitness coach & founder of Shrink Session & Soul Stroll. Erin and I had a lifestyle photography session while she was visiting Chicago over the summer. Our photo session centered around a light and fun feeling capturing movement and her free-spirited energized self. As she danced and jammed to music, she also jogged down neighbored sidewalks, free flowed in a studio and jumped for joy on furniture. All fun things that are options to help make oneself feel good! Erin is incredibly inspiring and making a positive impact in this world helping people to move their bodies physically while mentally stimulating us at the same time. In turn, this combination of mind and body movement has magical effects that result in a stronger more powerful you! 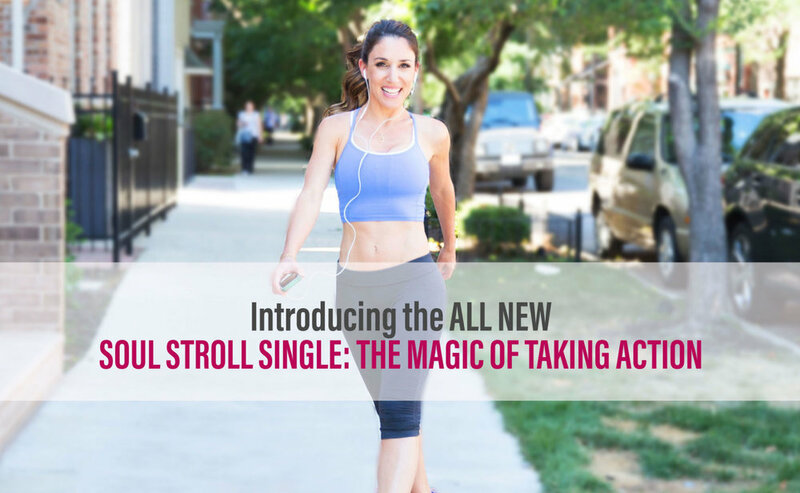 She is using these fun workout & exercise photos throughout her newsletters and promoting her new Soul Stroll Single, The Magic of Taking Action! Soul Stroll is an upbeat soundtrack with music and mantras while you are on the move! I use Erin's Soul Stroll soundtracks mainly when I'm out for a walk or run and absolutely love them! They help to keep me inspired, motivated and feeling empowered. Check out Erin's link to her newest Soul Stroll here.